If you're familiar to my blog, you would have seen two recent posts along the lines of a massive book haul. I didn't realise how many books I actually bought and this mini series will be going into four possibly five posts altogether. You may have also noticed that I tend to read absolutely everything. Give me a book and I will read it. The way I see it, is why would a book be published if it wasn't worth reading? I mean, surely there's something good about every single book that's on the market, right? I do have my favourite Authors, but who doesn't? So if you want to see what books are currently on my waiting to read list, then carrying on reading! "Nina is a bookworm who dreams of running her own little bookshop. But real life is a bit trickier than the stories Nina loves, as she discovers when she moves to the beautiful wild highlands of Scotland to turn her dreams into reality.. I've ried to write the kind of book I love - cosy, funny (hopefully), with cute guys (obviously), but also entirely dedicated to us, the book lovers, the readers. 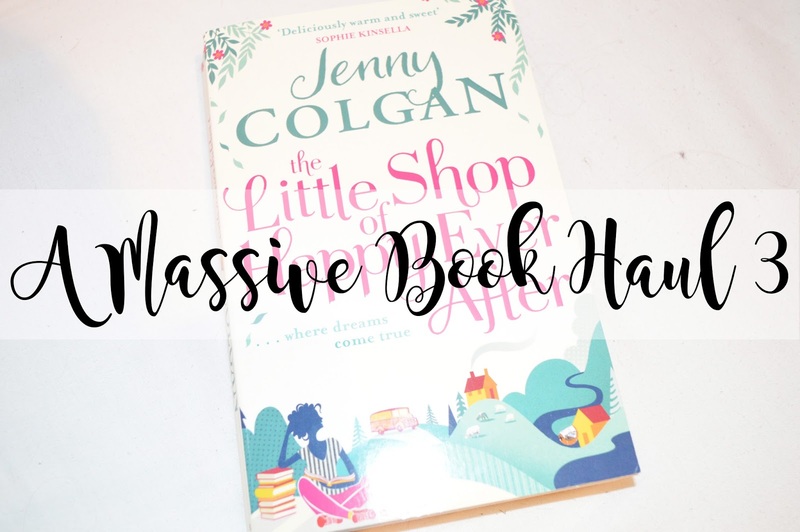 So come join our gang"
Now, I absolutely love Jenny Colgan, I feel like all of her books are absolutely incredible and I am on a mission to purchase every single book she has ever published. She is just such a heart warming person and it so true to herself. I mean, who else rights a blurb like this? Honestly. I absolutely love books, I mean come on. I'm having to write 4/5 book hauls to fit them all in so I don't bore you all to death. So I really believe this book is going to be a great read! And of course, I will write a book review once I have read it! "Libby and her husband Jason have moved back to his hometown to turn the family B&B into a boutique hotel. They have left London behind and all the memories - good and bad - that went with it. The injured woman libby finds lying in the remote country road has lost her memory. She doesn't know why she came to be there, and no one seems to be looking for her. When Libby offers to take her in, this one small act of kindness sets in motion a chain of events that will change many people's lives..."
Lucy Dillon is another one of my favourite authors and her book "The secret life of happy ever after" is definitely one of my favourites. Reading blurbs like this makes me question what exactly is going to happen throughout this book? What is this woman going to do to Libby when she has lost her memory? I mean, what could possibly change many people's lives.. It just makes you wonder, and this is how I know this is going to be a good book, because you start imagining what's going to happen before you even start reading it. Do I really need to talk about this book? Honestly? 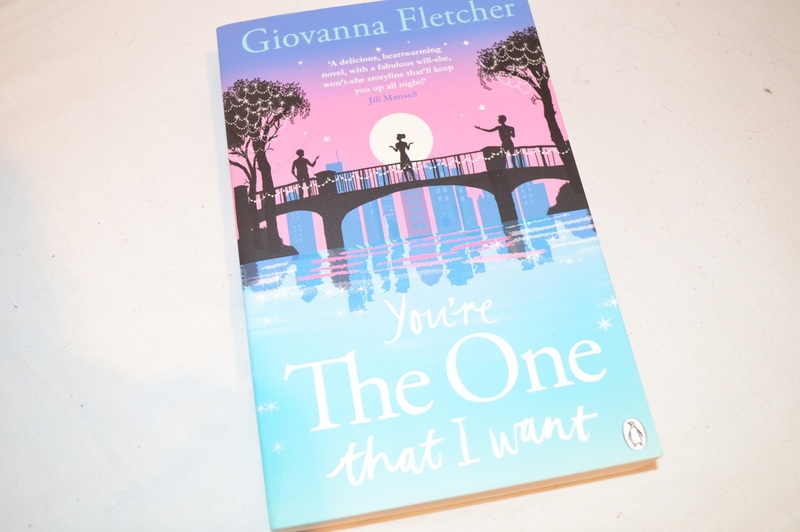 But I am going to talk about it anyway because it is a new book that I have purchased and the first Giovanna Fletcher book I have ever owned. So many people rave on about Giovanna's books and I really need to get a move on and pick up Billy & Me and see what all this hype is about. Giovanna is a very beautiful author who produces heartbreakingly beautiful stories. I cannot wait to read this, however I do need to buy the others before I do! "Home is where the lies are... Libby Day was just seven years old when her evidence put her fifteen year old brother behind bars"
I'm not going to tell you the whole blurb because I feel like this sentence is enough for you to go purchase this book and find out what it is all about! We all know Gillian Flynn is a great author after her book "Gone Girl" and I really hope this book is just as good as that too. It seems very mysterious and quite worrying at the same time but it's definitely going to be a good book. Why did Libby put her brother behind bars? That is the question. I actually posted this on my instagram a while back saying I was reading it. I never did end up reading it. That day was a day where I couldn't get into any book and I ended up reading a chapter of around 7 books before I finally went back to one which I had been planning on reading for ages anyway. I love this book as a film and it's one that definitely made me pick my nail varnish off throughout it. If you haven't seen this as a film, I highly recommend it! However, I am really hoping the book is just as good as the film, if not better. If anyone has read it, let me know! The book everyone raved on about! So basically Gone Girl is about Nick and Amy. Amy is an author, a great one apparently! However, she disappears bla bla bla and makes it look like Nick murdered her. I'm not going to tell you everything that happens but it's a great film and apparently it's a great book so I am going to be reading this very very soon! Pick it up if you haven't read it already. So it's safe to say I have a lot of Jodi's books and I can't stop buying them either. However, this one intrigued me because on the front of the book it says "If having a family meant tearing your world apart, what would you do" and the question is, what would you do? Honestly? I personally have absolutely no idea what I would do but I am really looking forward to reading this book to find out what Zoe ends up doing. P.S. she does lose her baby so I can see this being a very emotional book too, filled with many many tears. As bad as it sounds, I have never seen this film. Although I do have it on DVD, I have never watched it which makes me a very bad person! My mum swears by this film and loves it and the fact it's also a book made me pick it up. I love books and films! say no more. I love this because it says "Eat Pray Love has been passed from woman to woman like the secret of like" which makes me smile so damn much! Woman are just great, aren't they. This is going to be a book that I won't put down, I already feel it! Let me know if you have watched the film and if it is any good. Katie Fford is another great Author and one of my favourites! Her books are so witty and very much like a fairy tale and this is one aspect that I do love about them. Practically perfect is about Anna, who is a interior designer who has decided it's time to put her money and her expertise where her mouth is. Absolutely brilliant! Whereas, Wedding Season is about Sarah, a wedding planner. Now, I love wedding planners and the film wedding planner is one of my favourites. Obviously this book has absolutely nothing to do with that film but the fact it's a wedding planner, makes me want to read it. Anyone else this strange? This book is a heart warming tale of female friendship, and a fairytale-like gentle witty read. Perfect for all your girls out there! Let me know what book you are currently reading! Buying books is my favourite pastime I honestly love coming home with a new book/books! Wild is amazing and Gone Girl has been on my to read list for ages! If you like Eat Pray Love, I'm gonna suggest you read Elizabeth Gilbert's other book called Big Magic. It's nonfiction and talks about creativity and inspiration. I loved it and I think you will too!